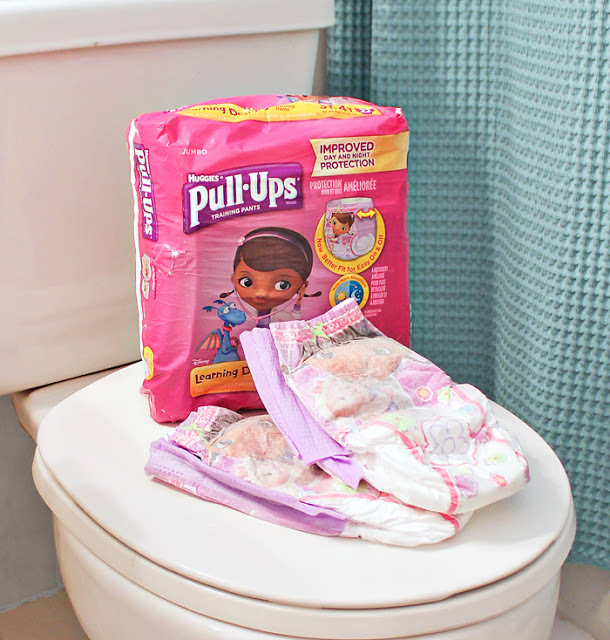 Home Life Potty Training In A Day— It’s A BIG FAT LIE! Potty Training In A Day— It’s A BIG FAT LIE! Potty training. The two words that strike fear into the hearts of mothers everywhere. Potty training my two older kids was hands down the worst job I’ve had as a parent (so far). It’s been over five years since the last time I potty trained, so the memories are vague… poop on the stairs, plastic bags full of poopy underwear, lots of tears (all from me, not the kids) and lots of frustration. With my first, I read a book about how you can potty train a child in one day. You can’t potty train in a day! That’s plain old crazy talk and anyone who buys into that obviously hasn’t watched in horror as their two year old peed into their fur shoes in the middle of the aisle at Michael’s. I’m just saying. So let me get to the happy ending of all this rambling. 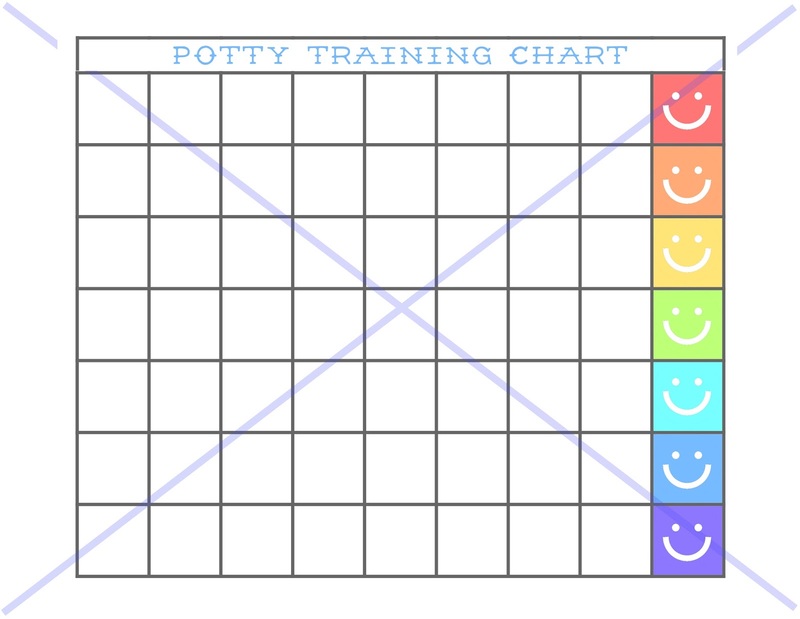 I have completely changed my approach to potty training this time around and it is SO much nicer for me, for my toddler, and for the whole family! 1. We potty train when it’s convenient. Nothing stresses me out more than a potty training disaster in public. My daughter wears big girl underwear at home and Pull-Ups® when we are away from home. Shopping spree? Pull Ups. Road trip? Pull Ups. Church? Pull Ups! I can’t tell you how much this has eased the burden of potty training. It keeps me sane and calm and both of those traits are necessary for dealing with a toddler every day. To help my daughter learn, I use Pull Ups instead of sticking her back in a diaper. As soon as she’s in a diaper, she knows she can just go in the diaper. Pull Ups are new and different and help mentally remind her that she’s supposed to go in the potty. I like Pull-Ups Learning Designs brand because they are stretchy enough to slide on and off easily. They also have a cool wetness indicator. My daughter loves the Doc McStuffins characters on her Pull Ups, but they also have Lightning McQueen designs for boys. I’ve always bought diapers, wipes and Pull Ups at WalMart because they have the best prices. Anything your child would be excited about makes a good reward. 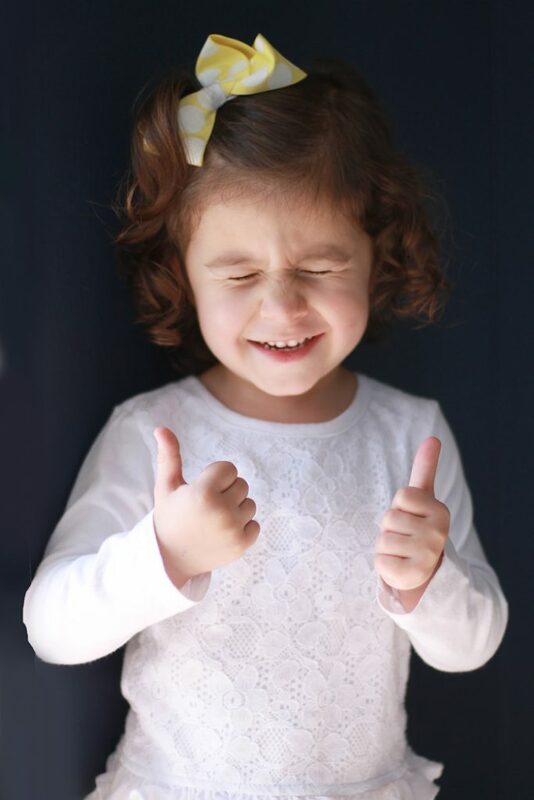 I have actually enjoyed the opportunity to spend quality time with my toddler, to have this extra chance to praise her, pay attention to her and cheer her on as she learns a new skill. Download it HERE. You’re welcome. That’s honestly how I felt with the first two kids. Really mature, huh? This time around I realized just how silly and selfish that kind of thinking was. My little girl is learning a skill that is brand new to her and goes against everything she’s ever done before. That’s why expecting potty training to happen in a day is a lie. It’s going to take time just like learning any other skill would. I don’t yell at my toddler every time she says “pasketti” instead of “spaghetti.” I don’t go ballistic when she puts her shoes on the wrong feet. And I’m learning not to get mad when she makes a mistake potty training. Keeping my cool has helped the whole experience be positive, which in turn has helped my daughter be more successful. I call that a win-win! If you’ve ever potty trained a child, what worked for you? What’s your best piece of advice? The great people at Pull Ups have put together a fun little site that classifies your child’s personality and gives you tips specific to your child. I love a good quiz, don’t you? 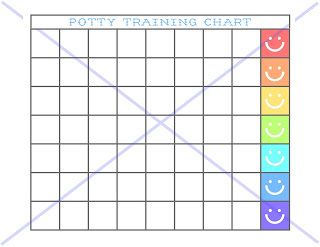 Find out which type of potty training character your child is HERE. My girl is definitely a “turtle” personality. How about your toddler? 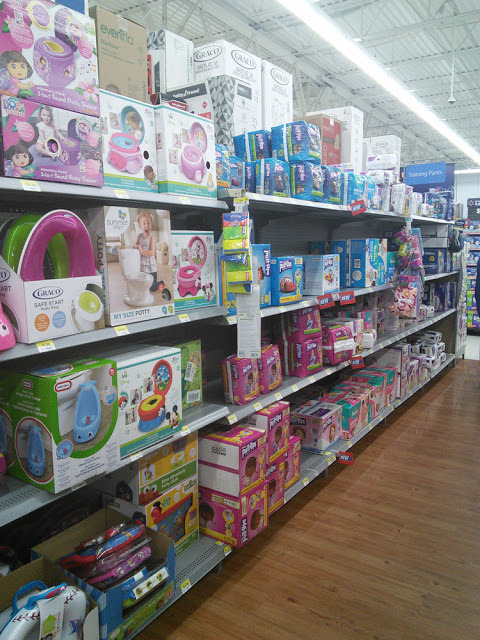 Learn more about Pull-Ups® Learning Designs® available at Walmart by clicking HERE. Each child has a different reward trigger. One was awed by fancy underwear. One wanted tiny metal cars. One wanted star stickers – stuck to her body. One day we went out with a galaxy of stars all over her face, and that was ok by me. One did it for the ability to pick out a sticker and attach it to the sheet of paper that I taped up on the inside of the bathroom door, where she could admire the collection from her throne. The important thing is to remember that this is THEIR journey, not ours. We already learned this. We are there to cheer them on, and help refocus them when they need it. "Do you feel proud?" is a great question. "I am so proud of you" opens the door to "what if I don't do so well?" and also "Enh, don't want to worry about making you proud right now". Taking the pressure off by using pull ups when you go out is a great choice! Also, remember that all of this will look like a piece of cake when you are teaching them to drive! Oh my gosh, Amy. I love your comment so much, especially the part about saying, "Do you feel proud?" And please don't remind me that my offspring will some day be allowed to drive vehicles… AHHHHHH!!!!! Thanks for sharing! My daughter loves music, whenever she was on the potty we would pull up you-tube and play either "The Poop Song-potty training 101" or "I love potty Training by Joy Barry". (Recommended by my sister who had potty trained before.) We also followed your three rules. There was a lot of princess stickers and "special underwear". Also, once on a long car ride where bathrooms were far between, we packed a potty chair and other needed sanitary items, so she could do her business without having to wait until the next distant town. That's so great! I love your idea of playing music. I'm going to try it with mine. She'll love it! I have seven kids – all grown now, BUT, I did train one boy in a day!! I do have to say that he was just over three (he's 25 now) and we were stuck in a hospital waiting room. The only way I'd let him out of that room was to use the bathroom. We went every five minutes all.day.long. By the end of that day, he was trained……and I was tired…..but it worked. LOL!! That's a great story, Deb! Maybe I need to go sit in the hospital waiting room for a day. 😉 Thanks for sharing! We definitely learned with our first that it is so much easier when they are ready. We tried lots of 'bootcamp' weekends where he'd pee on the potty when we told him to sit, but wasn't noticing *before* he needed to go. I didn't stress about it because I read the average was 3 years & 2 months, but when he reached that age we were like OK, it's big boy weekend! We got a balloon, and said we could go somewhere fun if he made it through the weekend, and that time it stuck. Now we've got a nearly-3-year-old girl. She likes to go on the potty for fun, and is definitely getting close. We're waiting for the summer break to try switching over for good. Btw, she look a lot like your little one, but with blonde hair & blue eyes! And we even have that shirt in black, haha. Thanks, Tiffany! I love your idea of "big boy weekend." My daughter still has good days and bad, but maybe a big weekend with a reward would be just what she needs. How funny that our girls look alike.